Gabbeh carpets are an ancient and traditional form of Persian rug developed by Kurdish, Luri and Qashgai tribes. The rugs are mostly improvised by women and often depict their surroundings. The patterns are playful and relaxed often with swaths of color, animals or people, squares or landscapes. Traditionally they are woven with hand spun wool and natural vegetable dyes. Gabbeh designs have become popular because they are not formal and can look great in traditional or contemporary room settings. 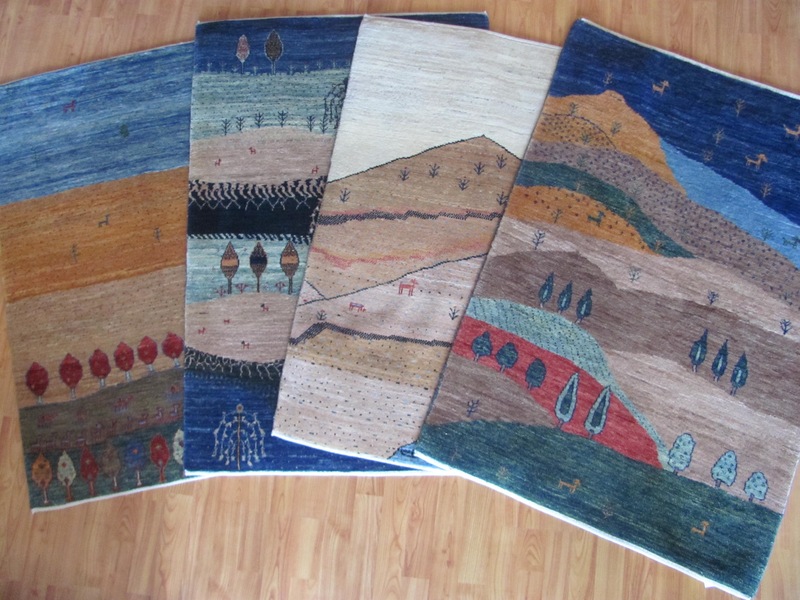 Today gabbeh designs are reproduced in all of the major rug producing countries. There are only a small number of weavers in Iran still producing fine quality gabbehs the old fashioned way, from hand spun Kurdish wool and vegetable dyes. These are the women whose ancestors have been doing it for centuries. Harry King just received a shipment of small Qashgai gabbehs from Iran. These small pieces are works of art suitable for the floor. We hope this ancient art form will not disappear anytime soon. They are full of life.